Here's a travel planner site for you. A self taught entrepreneur, Bangalore-based, 30-year old Surajit Pal has always learnt from life and the people he met. Stories of lives, hurdles and journeys fascinate him, and it was through his people connect coupled with his personal experience that he identified the pains of travelers in the country. To create a hassle free experience he conceived his brand TravelFree, a start- up solely focused on problem solving. Prior to this, Pal was with online real-estate companies including Indiaproperty.com, and Commonfloor.com and has been an interim director of a startup before taking the entrepreneurial journey in 2017. 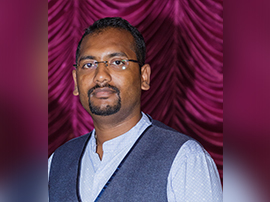 From conceptualizing to implementation, the new age entrepreneur shares his journey with Baishali Mukherjee. Read on! I launched the company, Reisefrei Services Private Limited, in January 2017, and I am currently building my brand TravelFree. The idea of TravelFree occurred from a terribly disappointing travel experience in September 2016. Again, during my train journey from Kolkata to Bangalore in December, I found through my interactions with my co-passengers that there exists a dire level of dissatisfaction about travel planners. One of those who travelled with me that day enquired about the services available from TravelFree after he reached Bangalore. He was my first client and serving him worked out as a pilot run for me and a trigger for more such endeavours. As pastimes, I have spent several years of my life from 2010 onwards in travelling and taking travel photographs. My experiences during these years germinated the idea of TravelFree. I did a market research last October where most of the travel operators/agents have been wary of including food in package tour owing to differentiation in taste buds, as per geographical locations. The survey also disclosed customers’ complaints with quality of stay. TravelFree.in became the answer to all these carps. Still a bootstrapped company, we are presently planning our stages of attainments, starting with targeting customers in numbers from 500 to 1500 to 3000 and so on. We have two small offices in Kolkata and Bangalore and have hired two employees and three interns. Our services include group tour packages, corporate outings (engagement activities, food, tour, and conference space for team meeting) institutional trips, honeymoon packages, medical tourism, international travel package and customized tours. We are also observing and analyzing the customer demands and based on that we will activate our support services. The bouquet will have items such as vehicle hire, emcee, photographers and videographers, Indian Caterers, insurance agent (life insurance, travel insurance), garage space, and bookings for bus, train, flights and hotels. On the supply side vendors are approaching us and we are in a process of selecting them on quality measurement matrix. We are available in on-line and off-line mode and our market is spread to B2C and B2B. We have tied-up with vendors and tour guides while our executives also accompany the travelers on the tours. Since its inception last month we have provided services to 20 travelers. As I was not professionally a techie, I had to learn all the tech parts associated with the business and underwent a rigorous training session to build and brush up things to the desired level before setting up our webpage. I feel that knowledge is your great strength and we should not say ‘NO’ to any opportunity. Chances are the doors that help you learn and grow in life. It is important that we respect the opportunities that arise in our life and do our best to make most of it. Has any travel site ever come to your aid, while travelling? Please share your views.